Chris Neira and Brittany Rausa reside in Burlington, Iowa, but in the last five months, they’ve spent more time in Iowa City. 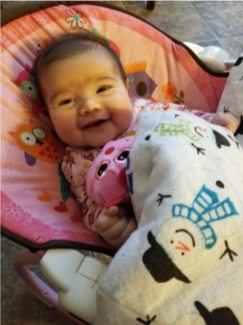 Their daughter Jenny was born five months ago; three of those months have been spent at the Ronald McDonald House of Iowa City. 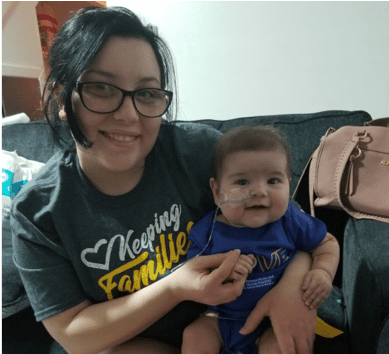 “We’ve made three different stays at the Ronald McDonald House with our longest stay lasting six weeks.” said Brittany. 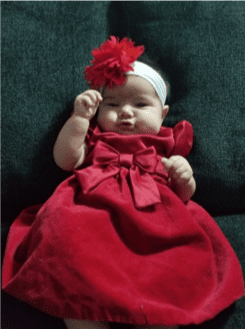 Jenny was born with a very rare heart disease called hypoplastic right heart syndrome where the right side of heart is underdeveloped. With one side of Jenny’s heart not working, the left side has to take over and perform all of the essential functions to keep the blood pumping properly. 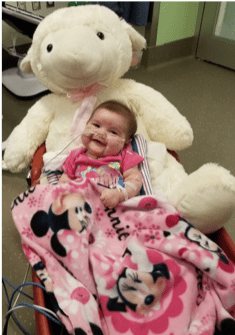 In the next few years Jenny will have heart surgery and while that is something that is always in the back of Chris and Brittany’s mind, they know the Ronald McDonald House is a place they can call home. Spending so much time in the hospital can wear down parents. At times, Chris and Brittany just wanted to take a step away to re-group. Chris explains, “Day after day in the hospital can take a toll on you. One of the many reasons we loved staying at the Ronald McDonald House is that it allowed us to be somewhere besides the hospital.” Taking a moment to take care of themselves allowed Chris and Brittany to recharge and take on another day, “The combination of free food, talking with other families, and having a private room helped make our family stronger” said Brittany.